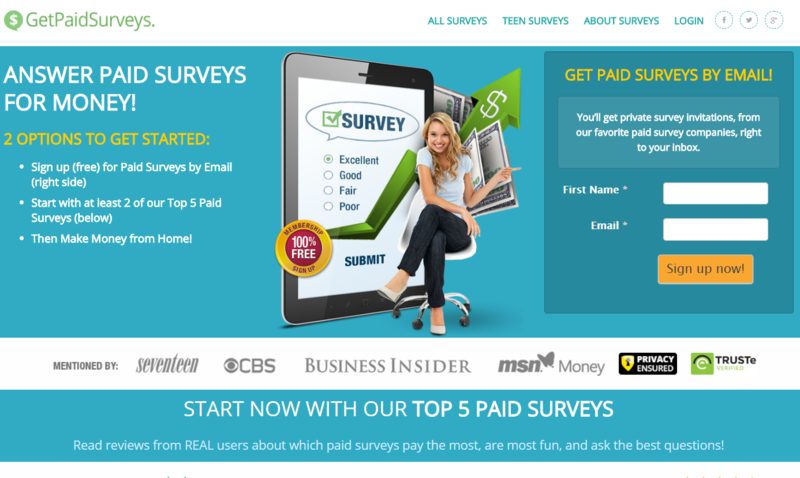 » GetPaidSurveys.com Review – Are They A Legitimate Survey Panel? 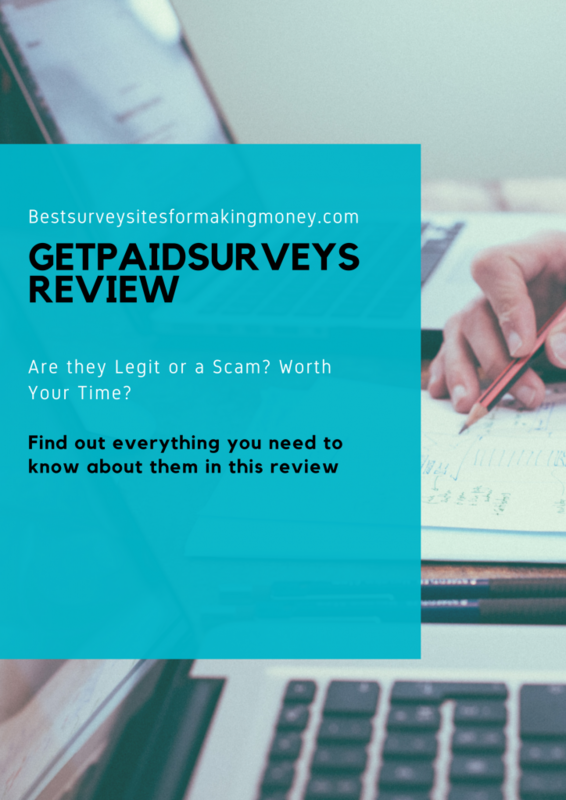 GetPaidSurveys.com Review – Are They A Legitimate Survey Panel? Today I thought I'd take the time out to review a survey site called GetPaidSurveys. There are a few things that are not right with this site however all will be revealed in this GetPaidSurveys.com Review. 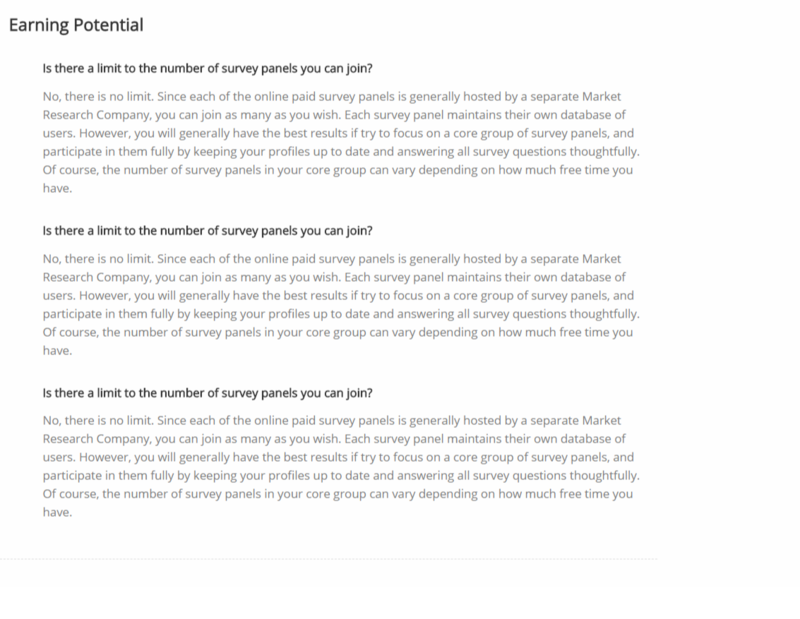 So if your looking to find out if GetPaidSurveys is a legitimate panel that pays out make sure to read until the end. Its easy to explain what this site is as its not actually a survey site which some of you maybe initially thought. Instead GetPaidSurveys is simply a funnel set up to earn money from you guys. When ever someone clicks on thier links to the survey sites they recommend they will get paid a commision. There are no proper guides on how to make money neither is there any opportunities for you to make money through completing surveys there on the site. This frustrates me as this isn't new to me, I have checked out and lost time trying these kind of sites in the past. Some of the recent ones include the likes of Top10bestpaidsurveys and SurveySpotter. Both of which are the same and run just like GetPaidSurveys. Check them links out and see for yourself, there are a lot of similarities. When you first click on the site you will find phrases such as 'Start Now With Our Top 5 Paid Surveys' this is then followed by the 5 sites they recommend, there are also join now buttons for you to sign up for them. These 5 sites are nothing special but are simply companies that GetPaidSurveys work with in order to get commissions. These sites are ordinary survey sites, some of them are even garbage such as Ipsos, read this review if you don't believe me. The thing is they don't have your best interests at mind and are just looking to get your money. Admittedly you will find links to survey sites that I recommend on this website, however these are ones I've tried that ACTUALLY pay out, half the ones on that list are in my opinion rubbish as I have tried them. There is a part to the site where you can make create an account, which I went ahead and did for the purpose of this review. I found the site to be buggy which you will see in the screenshot below. Where I assume you should be able to login there is instead wordpress code which indicates that the website as issues. Once I had input my details and answered questions similar to those you would find before taking a survey. I was then shown a completion page where someone called Jessica Sterling is now going to show me the best paid surveys in 2014. This is odd as it shows that this site hasn't been updated in over 4 years. Have the owners set up the site, put a funnel on and then just left it? Looks like it too me! Where Is GetPaidSurveys Going Wrong? When you create an account you aren't creating a GetPaidSurveys account instead you are setting up a WordPress account. As you can see from the screenshot below it seems as if I am logged into the site. Like most sites they also have a FAQ section to the site, where they answer questions. However this one is different and actually made me chuckle whilst reviewing as all the answers are the same, the questions aren't though. Its seems as if the site was thrown together in five minutes, as you can see in the screenshot below its nothing short of a mess. Yes, I'm afraid GetPaidSurveys is not a legitimate survey site like I initially suspected however just a site set up to make money from guys like you. You won't gain anything from signing up to sites like these that are simply a waste of your time. Sure you can click on the links to the survey sites and earn money from completing surveys. But the idea of giving a site like this which is quite frankly joke is no from me. I would suggest if you are interested in manually looking up the sites on Google instead. Or better still if you are on the hunt for some survey panels where you can get paid for your opinions. Then check out these extra income sites that do pay out. Previous Post Survey Downline Review – Is Survey Downline legit? Next Post MyDollarApp Review – Can You Get Paid To Download Apps?